I offer piano lessons in Southampton, Hampshire and surrounding areas for all ages and mixed abilities. Whether you are a complete beginner looking to learn music or an advanced pianist, wishing to improve technically, I can help you achieve your goals. I have been teaching piano for many years, helping many students achieve their goals. 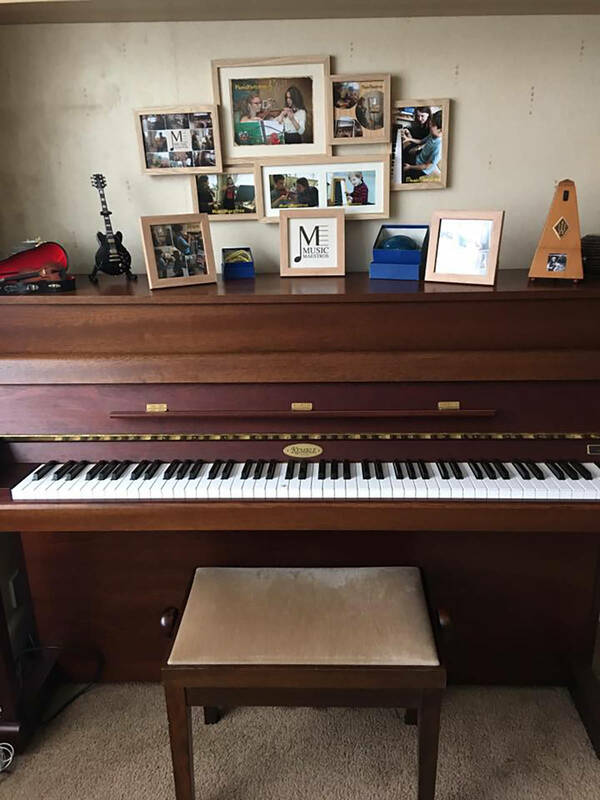 I have a beautiful upright piano with a superb sound for my students to play on, suitable for all levels of piano practice. My style of teaching is versatile and I am able to adapt to people’s exact requirements, whether they are looking for very technical training or a more fun approach to teaching. I have helped many adults learn to play the piano whether its just for fun or for formal exams. If you have a particular program you would like to follow, or alternatively would prefer to have a more diverse selection of piano pieces, I am flexible either way. I offer superb piano lessons for children of all ages and abilities. Whether they are brand new to music or you are looking for a change in teaching style, I am confident I can help your children grow musically as well as enjoy playing the piano. Being comfortable in your environment is also an essential component for effective tuition and learning. Subsequently, I have a dedicated practice room in my home in Southampton, which is also perfect for parents to relax whilst I teach their children. With a comfortable sofa, teas and coffees as well as WIFI access, you can afford to spend time listening to your child whilst either catching up on your emails or simply relaxing after a tough day at work. I am the Head of Music at Music Maestros, a music school offering students technically advanced music teachers for all levels. Due to high demand, I always have superb piano teachers available and can therefore provide piano lessons flexibly throughout the week at various times to conveniently fit into your schedule. I have helped many students prepare for piano exams for a range of grades. From scales and sight reading, to exam pieces and music theory, my expert piano tuition can help you achieve the very best grades. For more information about my piano tuition, please get in touch by completing the short contact form below. I look forward to hearing from you! Piano tuition for mixed ages and abilities in Southampton, Hampshire and surrounding areas.